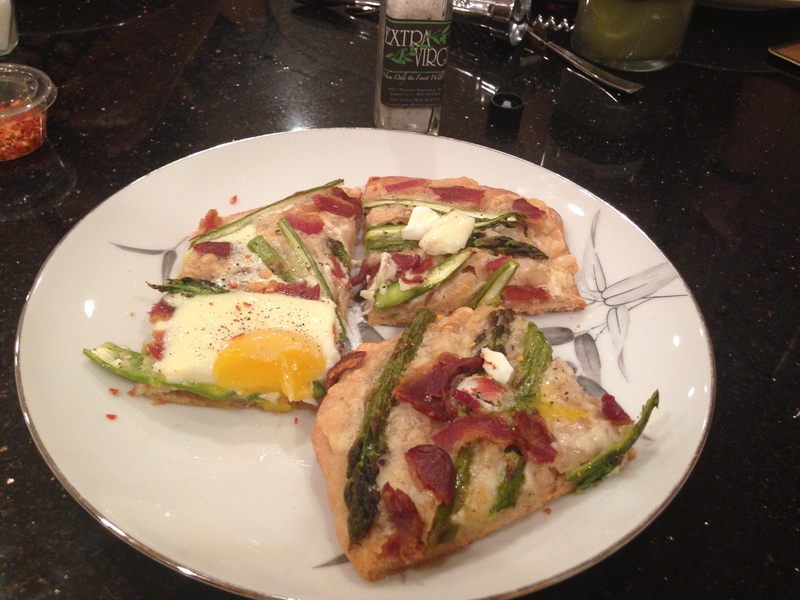 I (Laurel) love asparagus in the spring. It’s a sign of all the produce coming in the next few months, and delicious to boot. 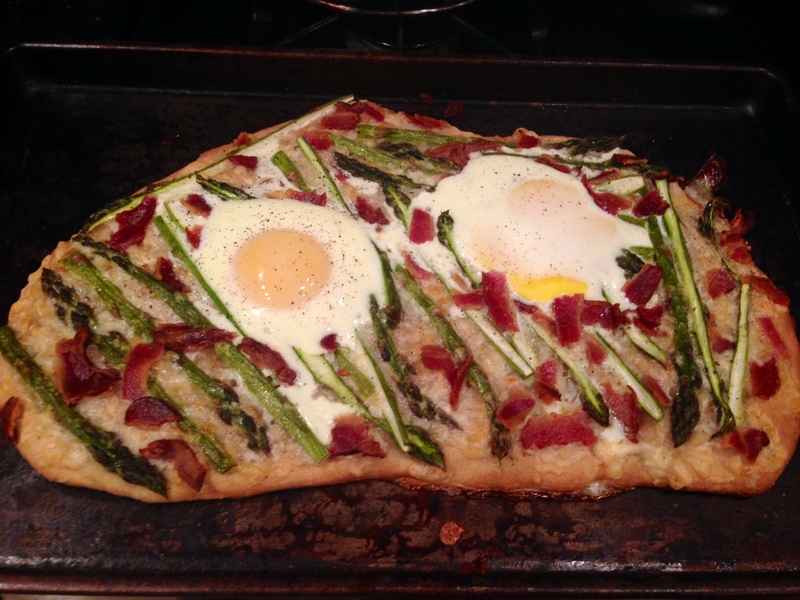 These past few months, we’ve made a lot of asparagus dishes, but one of my favorites every year is this asparagus, egg and bacon pizza recipe that I stole frequently borrow from Michael Ruhlman. ^^Not TOO shabby an attempt, yeah? ^^ I mean it’s obviously not going to come out looking like a pro chef and photographer’s … but I was happy.